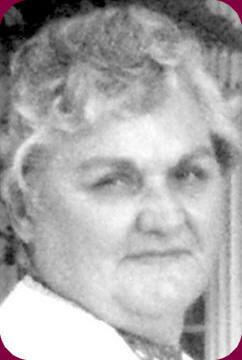 Jeanne (Chancellor) Fitzsimmons, a long time resident of Sapulpa, Okla., died Tuesday, December 8, 2009 at home at the age of 78. She was born November 28, 1931 in Chancellor, Ala., daughter of Arimus W. Chancellor and Jewel Pearl (Thomas) Chancellor. Jeanne is predeceased in death by her beloved husband Guy Fitzsimmons, a prominent attorney for over 40 years in Sapulpa; son, Tony Lesley Fitzsimmons; daughter, Gina Rena Fitzsimmons; step-daughter, Debbie Rae (Fitzsimmons) Mills; parents, Artimus and Pearl Chancellor, and sister, Doris L. Allen; brother, Floyd L. Chancellor and half-brother, Hubert Chancellor. She is survived by her son, Guy W. Fitzsimmons, and wife Sonia of Sapulpa, Okla.; step-daughter, Pamela Perdue and husband Jerry of Muskogee, Okla.; sisters, Betty Looney and husband James E. Looney of Tulsa, Okla., Shirley Bevelyn DeShazo of Chancellor, Ala.; step-granddaughter, Angela Fannelli and husband Chris of Tulsa, Okla., and a host of other relative’s including Stefanie Lorbecki, Alan Broyles, Patti Hellard, Gay Ann Young, Mike Jones and Louie Murray, who she loved and called her children. Special thanks to Veazey Gronewold, Reba Jones, Carol Yoachum, and Mildred Dement for the nursing care they gave to Jeanne. Funeral services have been set for 10:30 a.m. Friday, December 11, 2009 in the Smith Funeral Chapel, Sapulpa, Okla.
Officiating the service will be the Reverend Bill Oldham and Stefanie Lorbecki. Bearers will be Russell C. Miller, Max Cook, Dana Hudgins, Rick Woolery, Mike Jones, and Louie Murray. Interment to follow at Green Hill Memorial Gardens. Funeral arrangements are under the direction of Smith Funeral Home, Sapulpa, Okla. In lieu of flowers, donations can be made to Parents and Friends Workshop.